New Café friendly… Aqua Diva sparkling spring water 330ml glass bottles. See below for your chance to WIN a free carton of Aqua Diva. Try the new Aqua Diva sparkling 330ml at your favourite café and send a picture to us for Facebook. You could win lots of kudos with your friends! and we will also send a carton of Aqua Diva to the winner of the best photo each week. The Victorian School Canteen Association Inc Conference & Expo was a huge success this year. We have introduced a range of quality double wall coffee cups that can be custom printed. 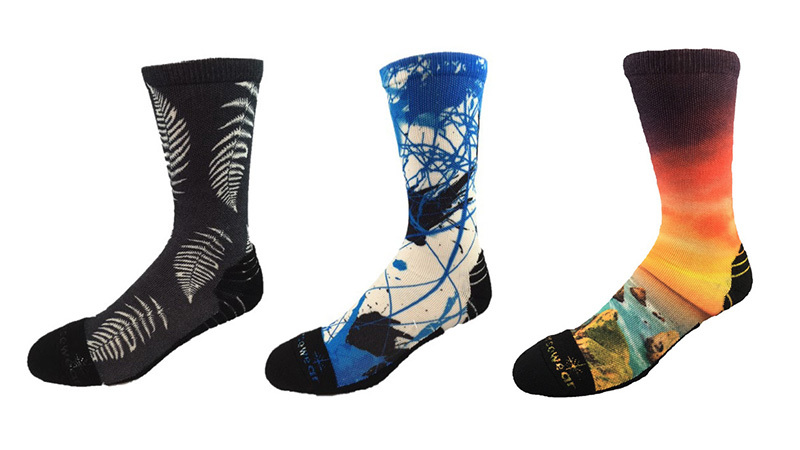 Kool Eco Socks made from recycled bottles!